The new map is also the smallest of the three maps available in the game's popular Classic mode. We guide you on where you can get the best loot, and how to ace the map. 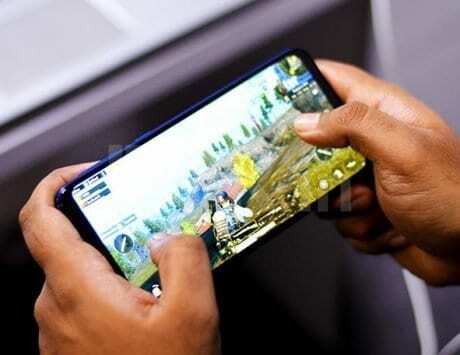 PUBG Mobile released globally earlier this year as the smartphone-optimized version of PlayerUnknown’s BattleGrounds, a popular battle royale online multiplayer game that originally launched for PC gamers. 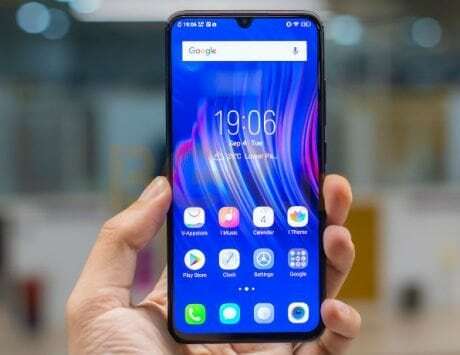 Developed by China-based Tencent Games, PUBG Mobile has quickly grown to having over 20 million active users daily. The game recently rolled out a big update, which adds a third map to the popular ‘Classic’ mode of the game: Sanhok. 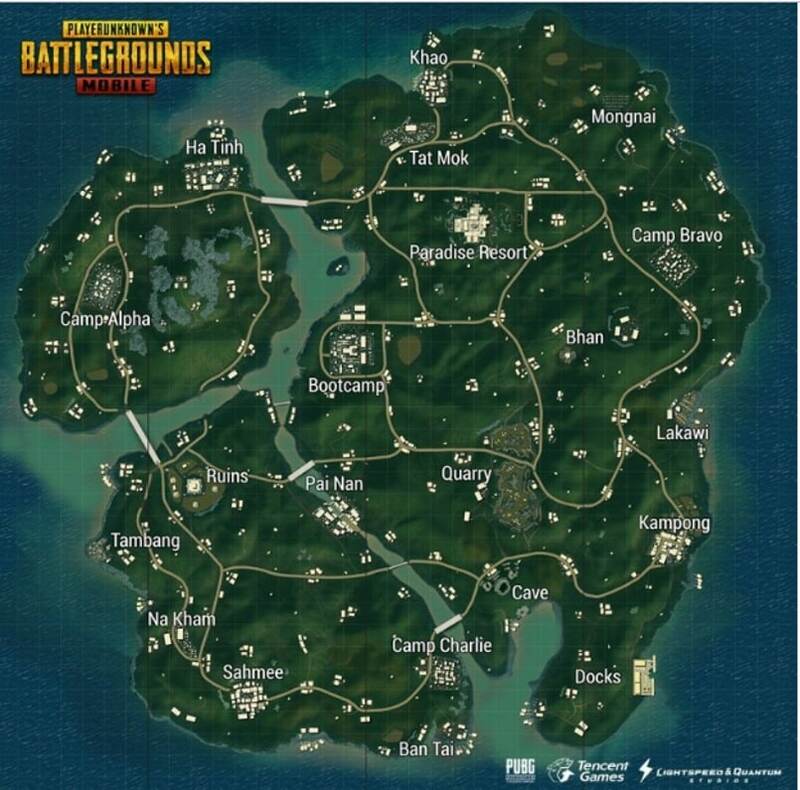 The new Sanhok map is based on the tropical rainforests of South-East Asia, and is based on an abandoned island resort. It’s also the smallest of the three maps available in Classic mode, thereby ensuring fast-paced games with active fighting from the get-go. Apart from the named villages and locations, the map is scattered with smaller unnamed hamlets, thereby ensuring plenty of buildings to search for loot and seek cover. We’ve comprehensively explored the map, and here’s our guide on the best places to land in Sanhok on PUBG Mobile. If you’re the kind of player that likes to engage in fighting from the instant you land, you’ll want to go to either Bootcamp or Paradise Resort, with both located roughly at the center of the map. The chances that the initial play area will include these two spots is high, and these being large locations with many buildings also ensures that there are plenty of weapons, ammunition and armor around. Therefore, you won’t have to quickly move after landing. However, these advantages are fairly well-known, so you’re likely to find a lot of players landing with you at both these locations. Much of the initial fighting in any game tends to take place in these two locations, and you’ll have to move fast and be very alert to survive the early onslaught. If you succeed at either of these locations, you’ll have the distinct advantage of a high number of kills and a good set of supplies to take into the latter part of the game. These three locations generally provide good supplies, and you’ll likely find not only automatic weapons but also sniper rifles such as the SKS and SLR rifles at any of these three locations. While not entirely at the center of the map, these three locations are generally well-located and have good visibility, allowing you to quickly move out if you find the circle closing far away. However, the advantages here mean that you’re likely to have at least a handful of others land with you at these locations. Provided you’re quick to acquire weapons and find a good spot to attack, you’ll be able to take out a few players at these locations before you need to move out. However, the openness of these three locations also means that visibility is high and you’re likely to be spotted while moving around. Landing at any of the named towns and camps on the outer coasts of the island carry a certain risk, but also come with rewards. A lower number of players land in these locations, thereby giving you a chance to collect supplies early on to take into the latter part of the game, giving you a better chance to make the top 20. However, being on the edges of the map means you need to move fast, as the circle will immediately start closing and has a lower likelihood of including these outer locations. If you find yourself needing to move fast, you’ll want to seek out a vehicle. Fortunately, these outer locations tend to also provide at least some kind of vehicle for you to move quickly. However, the topography of the Sanhok map makes vehicles suitable only on the roads, in order to make quick getaways or reach the safe zone. If you’re looking for a quiet, calculated start away from the initial onslaught, you’re best off picking any of the various unnamed hamlets around the map. These usually have just three or four huts, so you may have to move from hamlet to hamlet gathering supplies. But the chances of encountering other players are low, and you can prepare yourself for the latter part of the game and increase your chances of winning the ‘chicken dinner’. Another interesting and relatively undiscovered location is the temple on the hill. Located just to the east of Camp Alpha on the western part of the map, this unnamed location usually provides good supplies with very few others landing here. However, the hilly terrain and steep cliffs mean that you need to be a bit more careful when moving around this area, and depending on the safe zone, you may even have to move out quickly.